Deveron UAS Corp., has partnered with A&L Labs, a leading soil and tissue analysis company, to provide clients across North America a new and targeted approach to soil sampling. Currently available to customers in Eastern Canada and Western Canada. 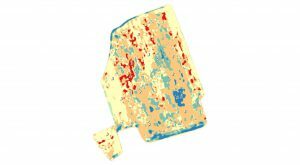 You will receive one data collection through UAV or Drone (remote sensing), plus a soil sampling program which will help you determine in which locations of your field nutrients are your limiting factor to growing better crops. We will collect a layer of “Plant Health Assessment” or in-season UAV imagery showing relative plant health. This is a real-time, high resolution data layer which can be imported into any precision ag software program. Once we have collected this layer of information, we will create a soil sampling program based on zones created using this information. We will create sampling points averaging 10 acres in size—large enough to mitigate, yet small enough to account for changes in elevation and soil conditions. We will come out to your farm and collect soil samples based from these zones. We will provide you with a “Soil Assessment Report” along with the raw data layers, showing where soil nutrient deficiencies exist, so that they may be mitigated for future crop rotations. NOW THAT I HAVE THIS DATA, WHAT ELSE CAN I USE IT FOR? collection and the A&L Labs soil analysis. Additional options are available. can be used to further enhance your precision agriculture programs today and in the future. 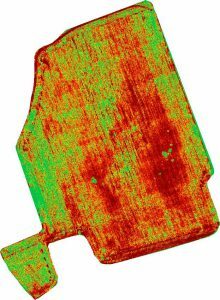 The all-in pricing for a package that includes the UAV data collection plus soil sampling is only $8.49 (SW1B2-includes Nitrates) per acre. Price includes both soil sample collection and the A&L Labs soil analysis. Additional options are available. You get both a complete, more accurate soil sample package and an extra data layer, which can be used to further enhance your precision agriculture programs today and in the future.